Free Breakfast, Free Unlimited WiFi, Free Homemade Soup every evening (during Winter season), Free Movies and Pop Corn, Free Tea + Coffee + Hot Chocolate 24/7. Welcome to Franz Josef Montrose. Nestled in the heart of Franz Josef Glacier Village, we are only a stones throw away from all the shops and activities available to you. 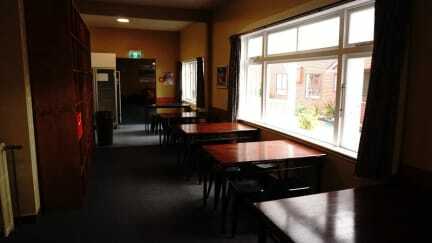 A friendly & warm centrally located lodge. 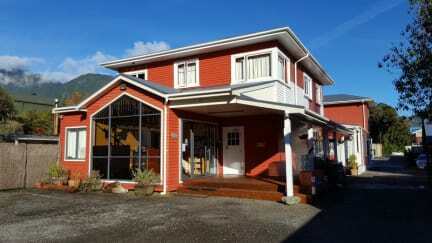 This is a fun hostel for independent travellers & small groups. Free unlimited WiFi, Tea and Coffee, BBQ, Spa Pool, Bag Storage, Movie library, and linen. Please note Children older than 14 years are welcome. There is no capacity for extra beds in the room. It is actually a bed and breakfast. I stayed at a female shared room. There were two metal bunckers, not very noisy, confortable. Only two plugs for four girls! Nice bathroom and great shower. The breakfast is simple (bread, cereal, milk, peanut butter, jelly), but nice! Every night they serve free veggie soup. Really good!